No doubt you already have plans for dinner parties in December. Send stress away and let Diner en ville help you with cooking. Would it be a buffet for a Christmas party or sophisticated intimate dinners, Diner en ville can take care of everything from menu definition to meal preparation including shopping and kitchen cleaning. 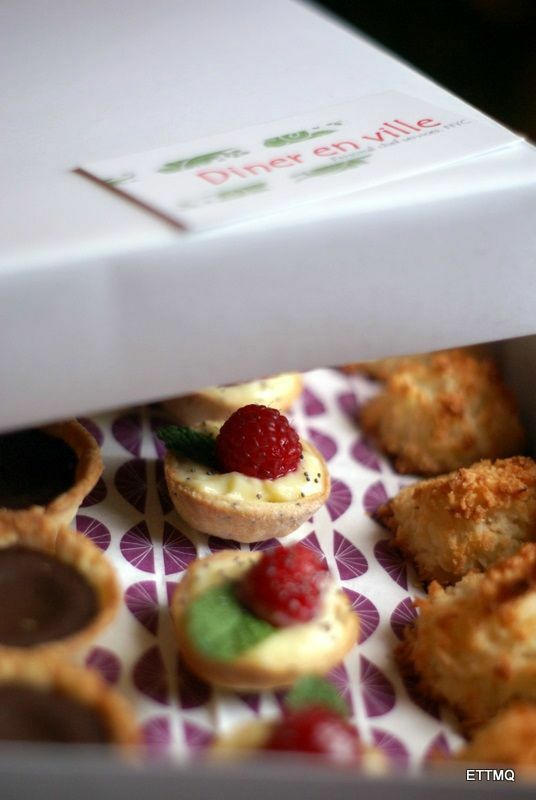 Bites boxes are always available on order for delivery (mini quiches, gougeres, pig in a blanket and more…). Contact us today and discover our large range of customized in-home cooking services! 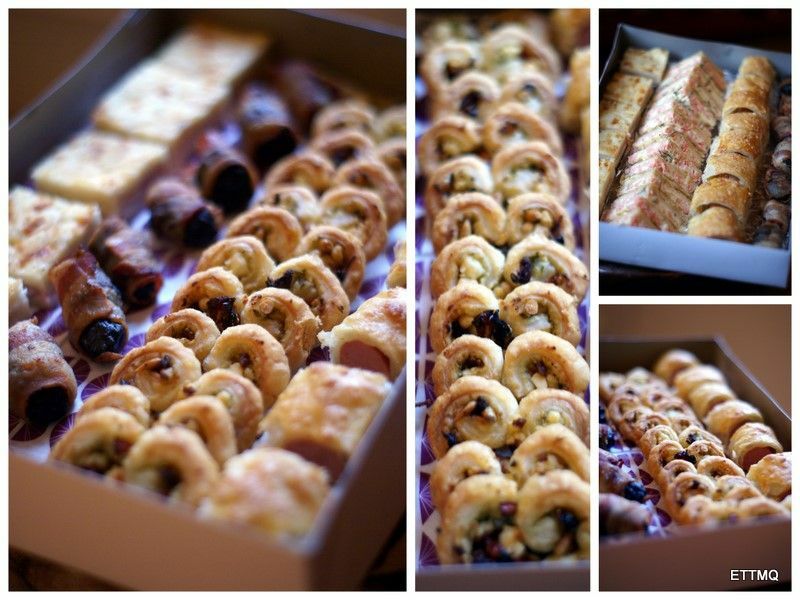 CATERING: GALETTE DES ROIS…be the first to order! Diner en ville will be baking home-made galettes des rois in January 2012. 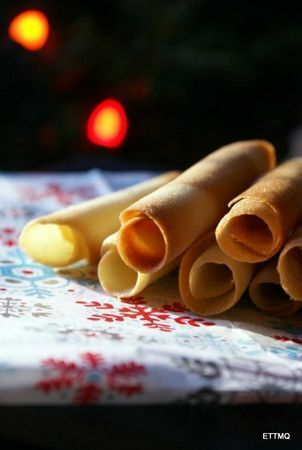 La galette is this puff pastry pie stuffed with almond cream filling that celebrates the Epiphany and that some of you tasted and loved so much last year. Book it in advance and make sure you’ll get one of this delicious and traditional French delicacy…there won’t be enough for everybody! Au revoir and Happy Holidays! … and more. Please ask us for more suggestions. When: November 23rd, December 23rd and 30th. Delivery: Bite boxes can be picked up for free (Upper West Side/Natural History Museum or 2nd avenue/86th street) or delivered the same day (Manhattan only) for $15. When: Saturday November 19th, December 3rd and 17th, from 9:30am to 12:00pm. Price: $80 per person including a 2-hour hands-on class and tasting around a cup of coffee or tea. Have you ever tasted “la galette des rois”? Would you travel to France these days, you simply couldn’t avoid it! Despite the size of the French community in NYC, it is still surprisingly very difficult to find a good one in the city (I mean, as good as my mum’s one). La galette is a puff pastry pie stuffed with almond cream filling that celebrates the Epiphany, when the three kings visited baby Jesus (Jan. 6th – though you can eat galettes from Christmas to the end of January… I tell you, French people are crazy about this cake!). If Frenchies love their galette so much it’s also because of the ritual that goes with it and for which you might need a short “user guide”. During the cake preparation, a “feve” (dried bean, whole almond or any other sort of porcelain figurine…from Jesus to Mickey Mouse!) is dissimulated into the almond cream. The guest who finds la feve is the King/the Queen of the day, gets a wonderful paper crown and has the right to choose his Queen/King. To ensure absolute impartiality, an innocent (the youngest guest…it’s symbolical!) goes under the table or closes his/her eyes while the galette is distributed and decides who is going to receive each slice. Fun isn’t it? 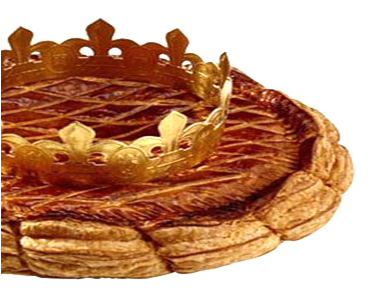 I’ll be preparing traditional galette des rois throughout January 31th. Don’t miss the occasion to taste it and to share this French tradition with family and friends. Please contact me for orders. 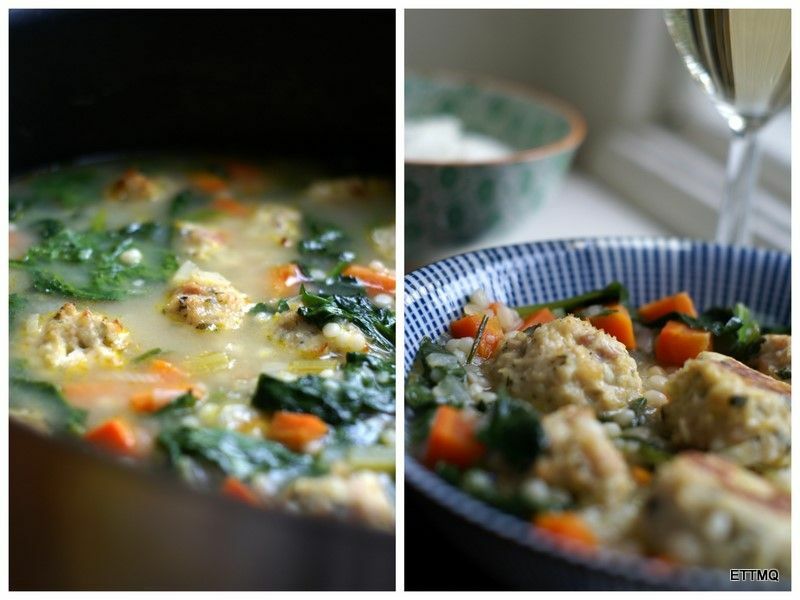 COOKING CLASSES: Are you cold? Take a soup class! Winter is here…and that’s just the beginning. Take a “soup class” and learn how to prepare comforting and healthy meals to stay in good shape in 2011! From fancy winter appetizers or entree for a yummy family style dinner. Select the type of soup you want to cook and join me for a 2 hour lesson.